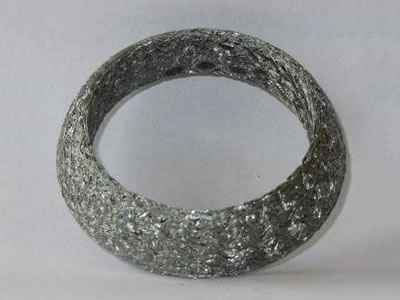 Knitted Wire Mesh - Buy Knitted Wire Mesh Product on Anping Kingdelong Wiremesh Co.,Ltd. Compressed Knitted Mesh Gasket with excellent shielding performance is widely used in the magnetic fields for EMI/RFI shielding. It can shielding the electromagnetism through sealing the gap of equipment and machines. Compressed knitted mesh gasket can be made of various different materials, including: stainless steel, monel, nickel, aluminum 5056, tinned copper steel, brass and other materials. 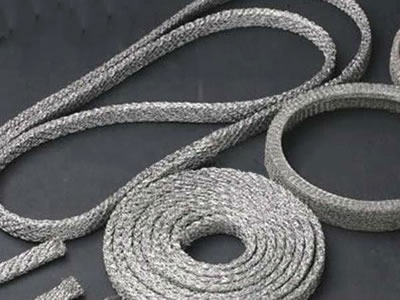 The specific metal alloy materials make compressed knitted mesh gasket can stand the extremely high temperatures, corrosion and other hostile environments. The diameters of compressed knitted mesh are commonly 0.11mm to 0.13mm and special specifications can be customized. 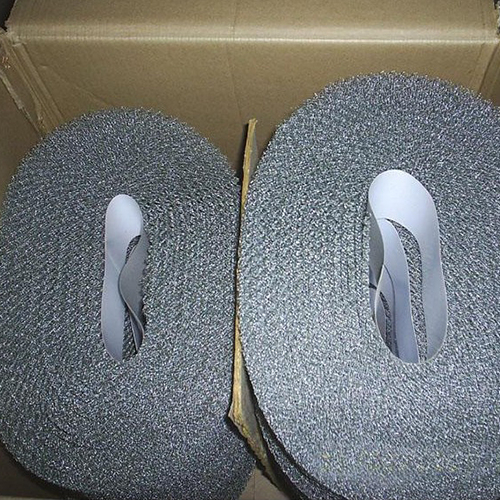 Stainless steel compressed knitted mesh gasket. 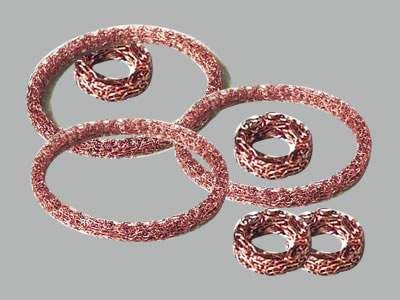 Tinned copper steel compressed knitted mesh gasket. Brass compressed knitted mesh gasket. Aluminum compressed knitted mesh gasket. 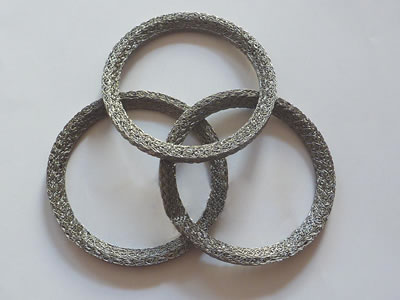 Compressed knitted mesh gasket can be made into various different shapes to suit the machines and other equipment. 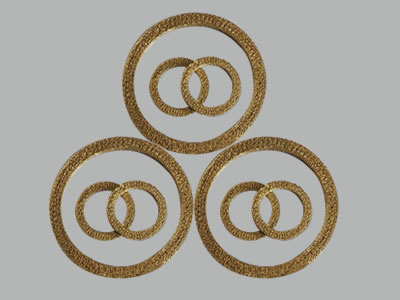 The common shapes of compressed knitted mesh gasket are ring shape, circular shape, stripe shape and rectangular shape. Other shapes can be customized according to customers' requirements. Stripe shape compressed knitted mesh gasket. 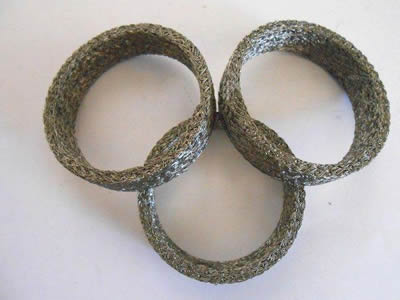 Ring shape compressed knitted mesh gasket. 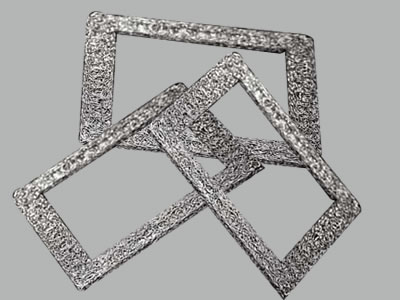 Rectangular shape compressed knitted mesh gasket. 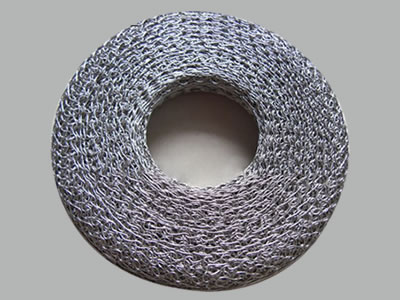 Circular shape compressed knitted mesh gasket.